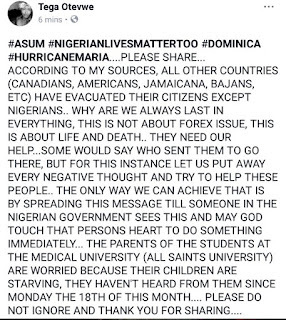 Over 150 Nigerians including students at All Saints University and staffs at the university are stranded in Dominica due to the aftermath of hurricane Maria. 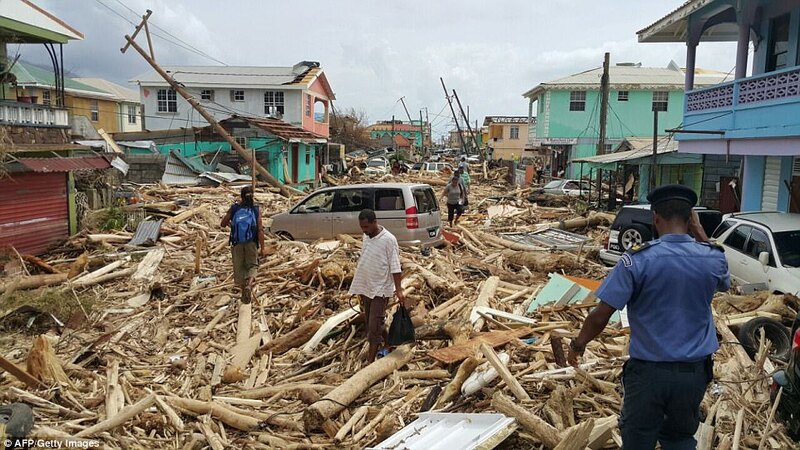 According to my sources, it's difficult to get clean water as there's no water supply, food is scarce and almost everyone on the island is looting in order to survive. Another course for worry is that some people are taking advantage of this situation in order to steal things like TV, that is inconsequential right now. I am also informed that there may be a riot against the Nigerians and that the Nigerians are being blamed for the looting. 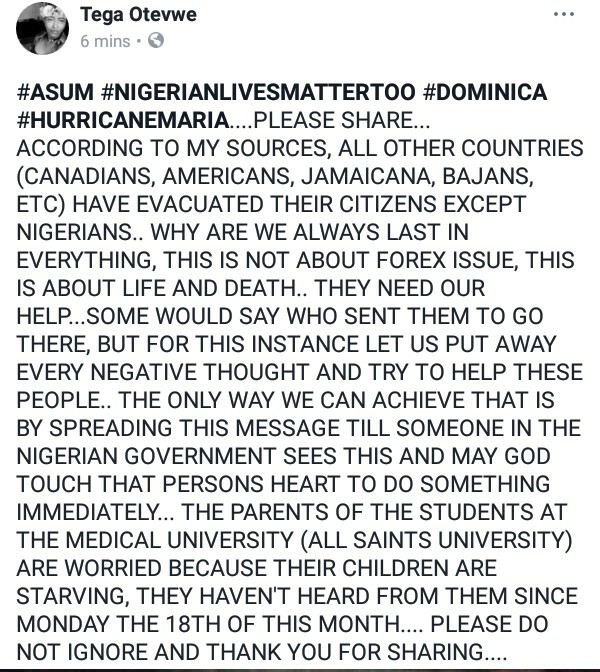 The Nigerian government should please try and help evacuate the Nigerians before it's too late. 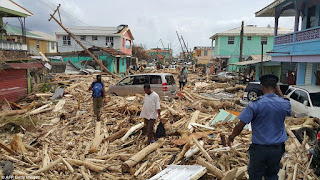 These people have survived the hurricane, they should not now die because the Nigerian government is unsympathetic to their plight and can't send help. If you are reading this, thank you for stumbling on this site if you are a new visitor, but please don't keep this information to yourself, please share. Thank you.